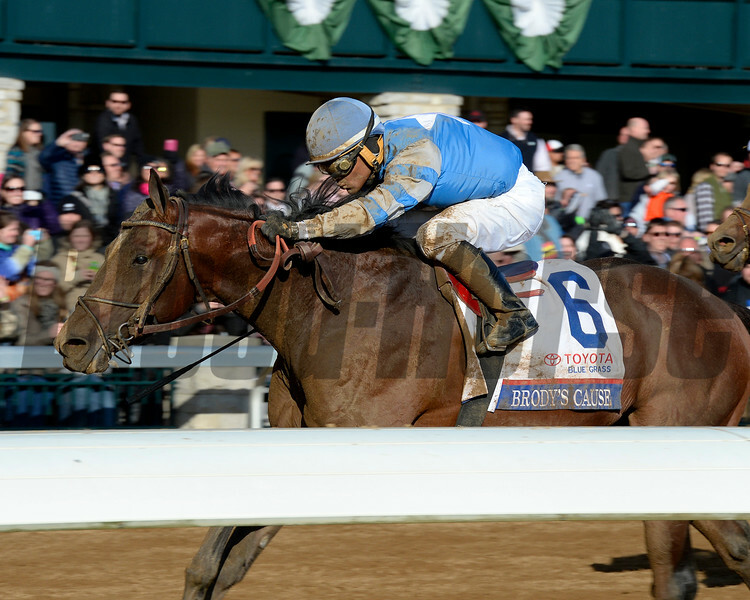 Brody's Cause with Luis Saez wins the Blue Grass Stakes (gr. I) at Keeneland. Morning works and scenes at Keeneland in Lexington, Ky., on April 9, 2016.